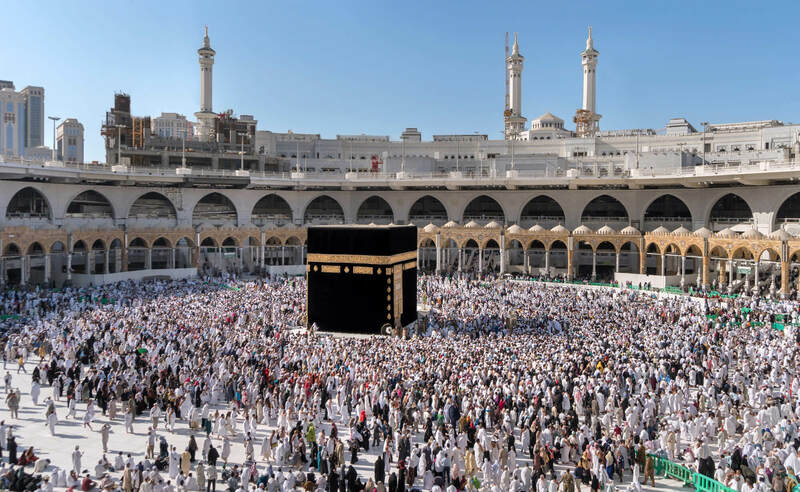 Saudi Arabia has a population of 26,534,504 people, Saudi Arabia’s largest city Riyadh is the capital of Saudi Arabia. 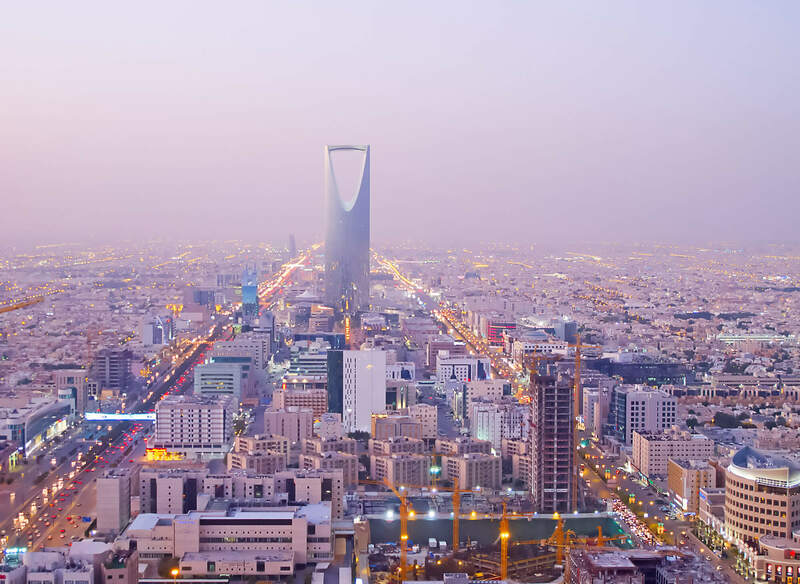 Saudi Arabia personel income per capita $22,663, jobless rate 2.00% and its currency Saudi riyal (SR) (SAR). Saudi Arabia official languages and mostly spoken dialects are Arabic. MECCA, SAUDI ARABIA – JANUARY 29: Muslim pilgrims from all around the World revolving around the Kaaba on January 29, 2017 in Mecca Saudi Arabia. Muslim people praying together at holy place. 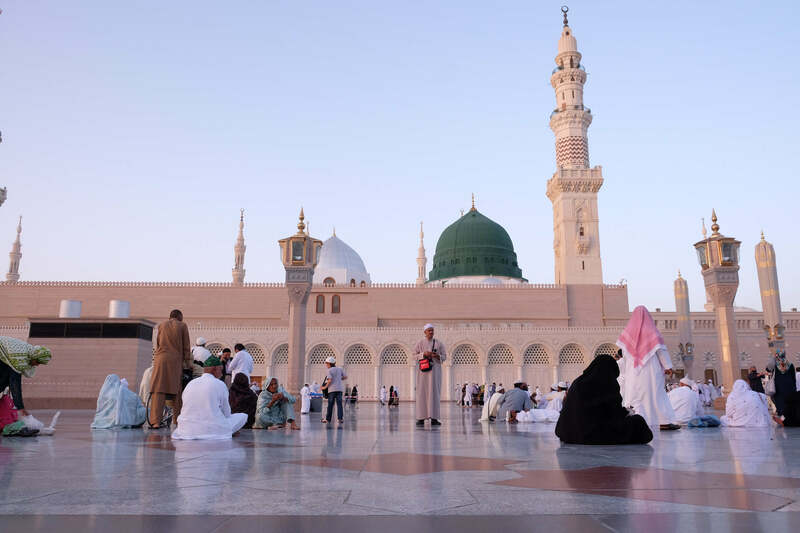 MEDINA, SAUDI ARABIA – 1 DISEMBER 2016 : Muslim pilgrimages at Prophet Mosque or Masjid Nabawi. Masjid an-Nabawi, Medina, Saudi Arabia. Kingdom tower on December 22, 2009 in Riyadh, Saudi Arabia. Kingdom tower is a business and convention center, shoping mall and one of the main landmarks of Riyadh city. 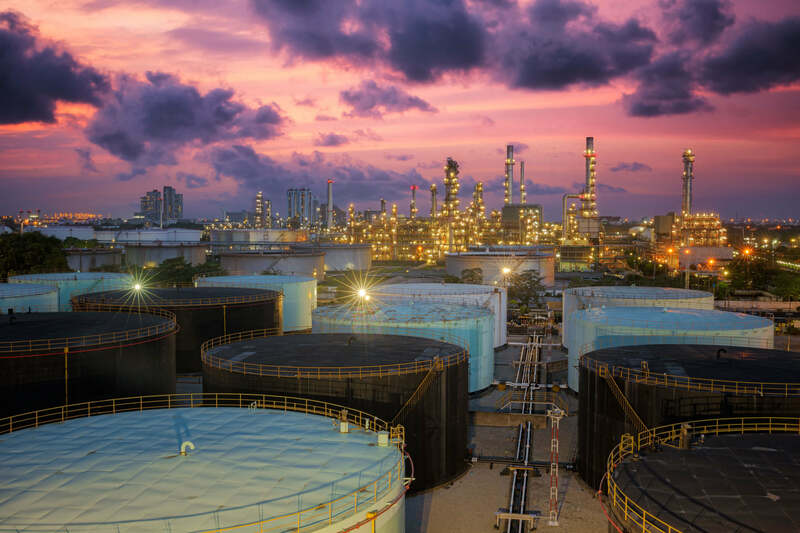 Oil refinery at twilight sky in Saudi Arabia. Arabian Historic Place in Saudi Arabia. 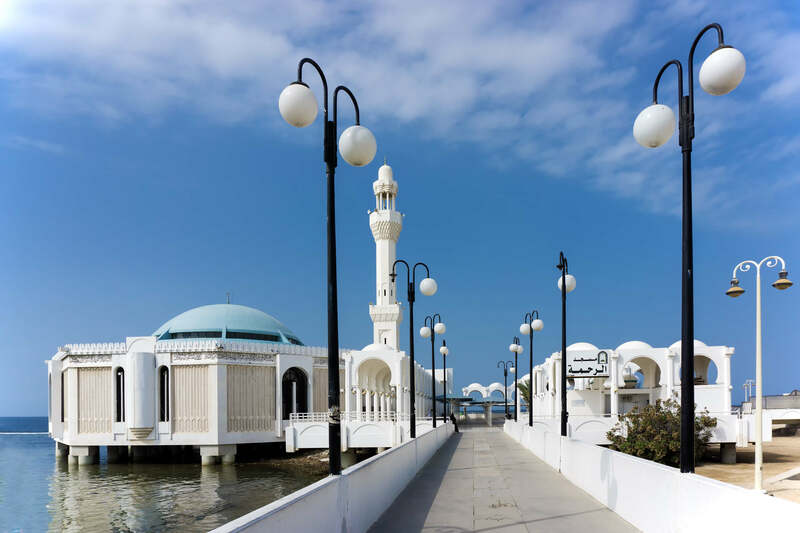 The entrance path to Ar-Rahmah floating mosque on the shore of Red Sea in Jeddah, Saudi Arabia. The arabic letters reads Ar-Rahmah mosque. Water color illustration riyadh city. Where is Saudi Arabia in the World?